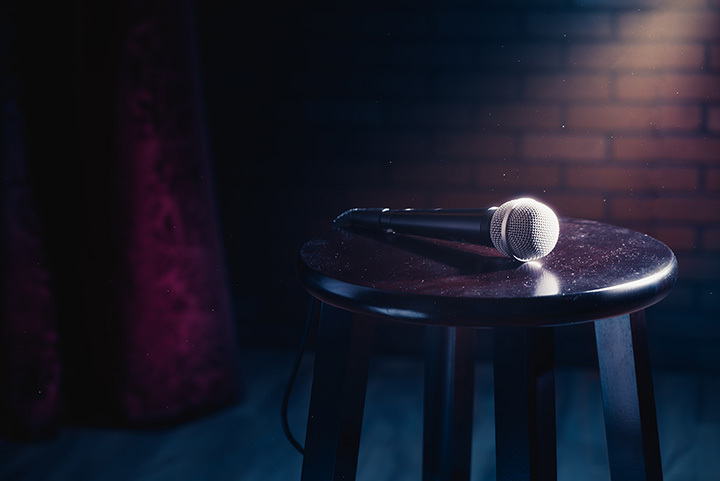 For an evening of laughing until your sides hurt, head to one of the excellent comedy clubs Oklahoma has to offer. From hilarious improv groups, to local comedians, to big-name comics, the Sooner State has it all. Here are 10 of the best places to catch some comedy in the state. Every Friday and Saturday, come out to the Paramount Theatre for comedy featuring local talent from the community and the University of Central Oklahoma. Get free admission on your birthday. At Michael Murphy’s, the comedy is served alongside three piano players who perform requests and banter between themselves and the guests. Every Thursday through Saturday, you can enjoy the show that starts at 8:30 p.m. and runs till 2 a.m. The OKC Loony Bin features comedy Wednesday through Saturday nights, with two shows on the weekend. Tickets range from $7 to $12. Tulsa’s premier nightclub for comedy typically opens Wednesdays through Saturdays, but often has special shows on other nights. Tickets range from $2 to $20. JJ’s only has standup comedy on Thursday from 8 to 9:30 p.m., but there’s never a cover charge. Get ready to laugh the night away for no cost at all! On the first Thursday of the month, the Loony Saloon has an Open Mic Night. You’ll find special shows throughout the month at this unique comedy club. The Comedy Parlor features local and national talent performing standup, improv or sketches. Check the calendar for the schedule. The Heritage has a little bit of everything, including some really excellent improv nights. Get dinner, drinks and laughs when you come out for the night. The Showplace Theater in the casino features special comedy guests. Big names in comedy have performed at the Showplace including Joel McHale, Jim Gaffigan and Tracy Morgan. Don’t wait to get your tickets at the Global Center. Popular shows sell out quick. The likes of Jay Leno and Jerry Seinfeld. Not bad. View more Oklahoma Comedy Clubs.